All material displayed across the Fourth Wave Wine websites including all brands within the Fourth Wave Wine portfolio is protected by copywrite. 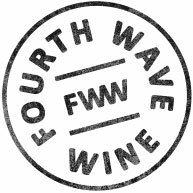 All content, graphics, branding and other intellectual property cannot be distributed or published by any third party without written consent from Fourth Wave Wine. All customer information is protected and will not be shared with any third party.